Dinosaurs, beats and bass. The inaugural Lost Lands festival offered an experience unlike any in the past 65 million years. Mountain Productions was on site to make it happen. It wasn’t voted the “best musical festival in the world” by DJ magazine for nothing. Ultra Music Festival continues its reign as one of the premier electronic music events of the year with a staggering 165,000 fans and 14.1 million live streamers as proof of the event’s wild success. The UMF experience grows to groundbreaking heights each year, and its 19th edition was a whirlwind of larger-than-life production, a world-class lineup of EDM’s biggest performers, and eight stages of heart-pumping rhythms. Your performers won’t be too happy without a reliable, experienced front of house crew. 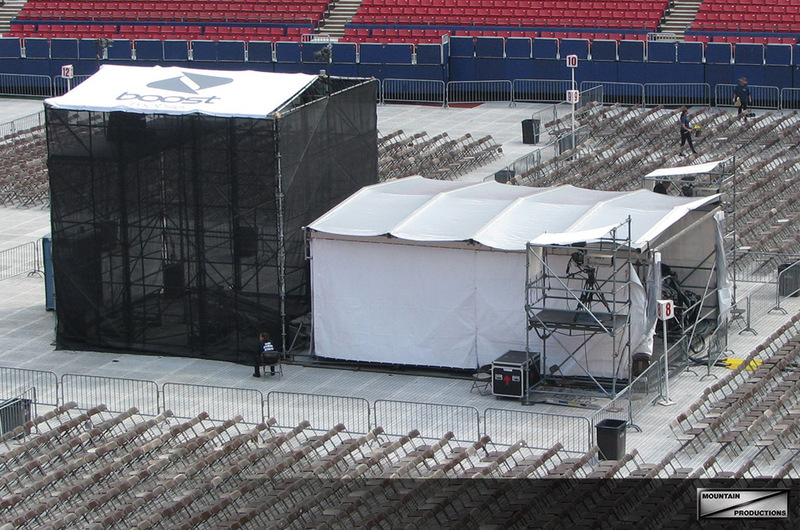 The front of house structure is critical to an event’s success, and Mountain Productions provides three styles of mix position structures for FOH operators. This week’s Staging Spotlight dives into our Rolling Roof retractable mix position. Using our versatile scaffold system as its base, the Rolling Roof front of house utilizes a combination of extrusion, weather protection vinyl panels, and roller beams to create a 360° covered mix position. 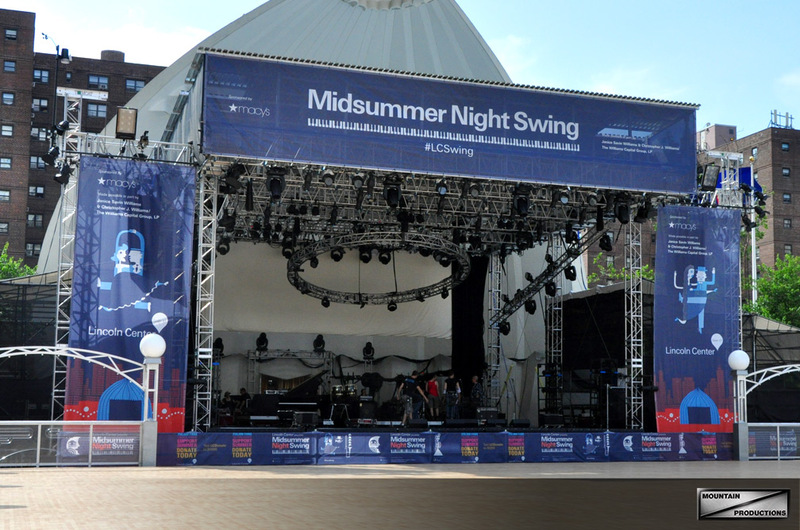 The SL-250 mobile stage is a perfect combination of strength, size, and efficiency. 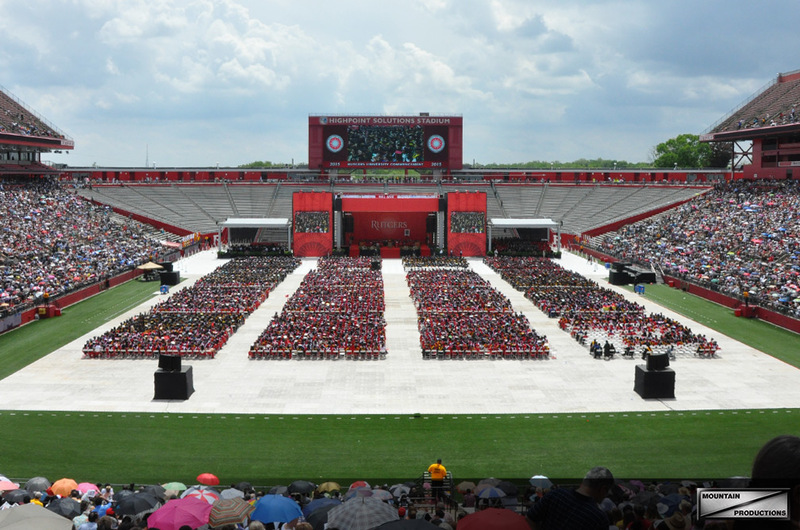 Our SL-250 stages have traveled all over the country, and have been used for both entertainment events and university commencements alike. The SL-250 has a 32’ x 24’ performance area, supports 12,000 lbs from its roof, and has a 1,000 lb rigging capacity on each of its sound wing extensions. Like all mobile stages, setup of the SL-250 is efficient and requires little labor (two hands and a supervisor can build the SL-250 in under two hours). The SL-250 can be clad with custom printed softgoods, and has the option of hanging the header banner directly from the roof or above on banner bars. 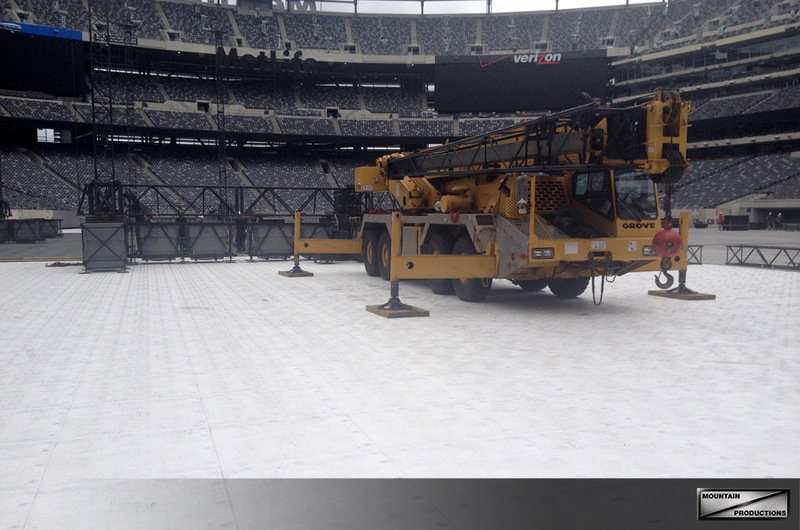 Although it’s not made of steel and doesn’t stand 60+ feet in the air, Terratrak Plus groundcover flooring is this week’s Staging Spotlight. But what’s so special about a 48” x 48” piece of plastic? In short, Terratrak Plus is one of the strongest and most reliable groundcover products, protecting the turf below while withstanding the enormous weights of site vehicles including forklifts, cranes, and more. 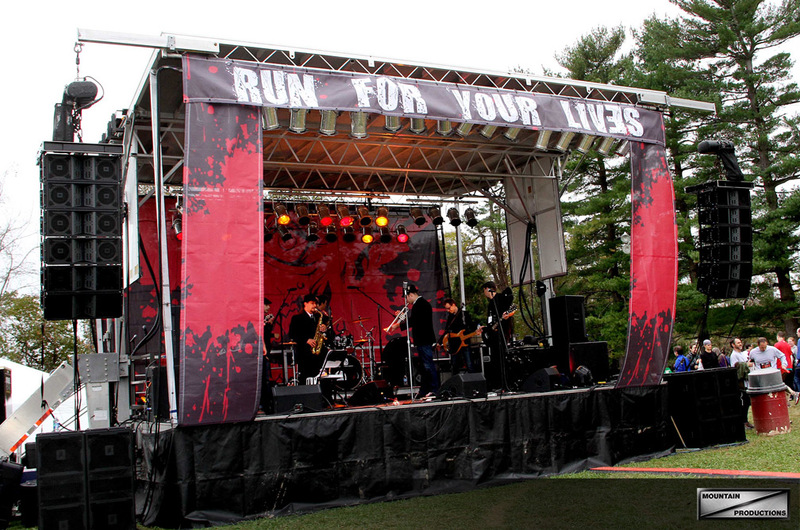 Here’s a closer look at what makes Terratrak Plus a necessity at any outdoor event. Terratrak Plus is a flooring product from Terraplas, the “World’s No. 1 Turf Protection Company.” Terraplas’s original flooring product was designed for turf protection at Wembley Stadium in London, but now their variety of flooring products are used all over the world. Our variety of roof grids make nearly any type of production possible. 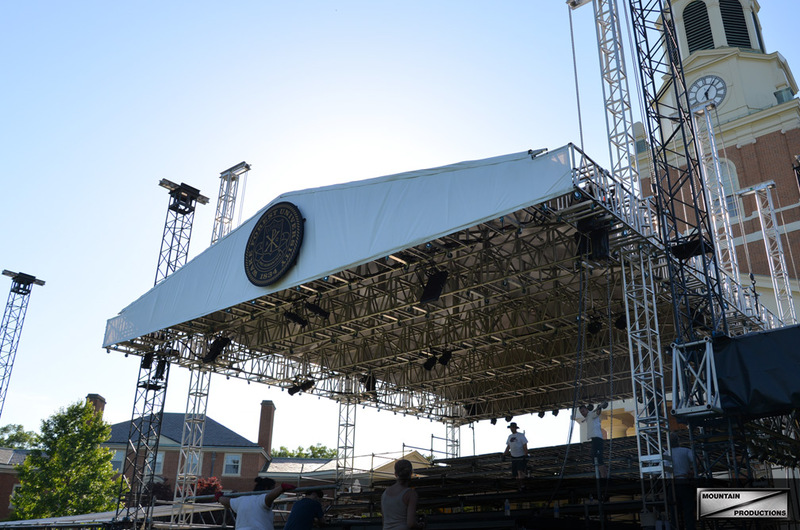 Our classic Hercules Grid has been leading the industry for years and the Mountain Truss System boasts some of the highest rigging capacity you can find in a temporary structure. This week’s Staging Spotlight is about our third type of grid: Truss Roof Grids. 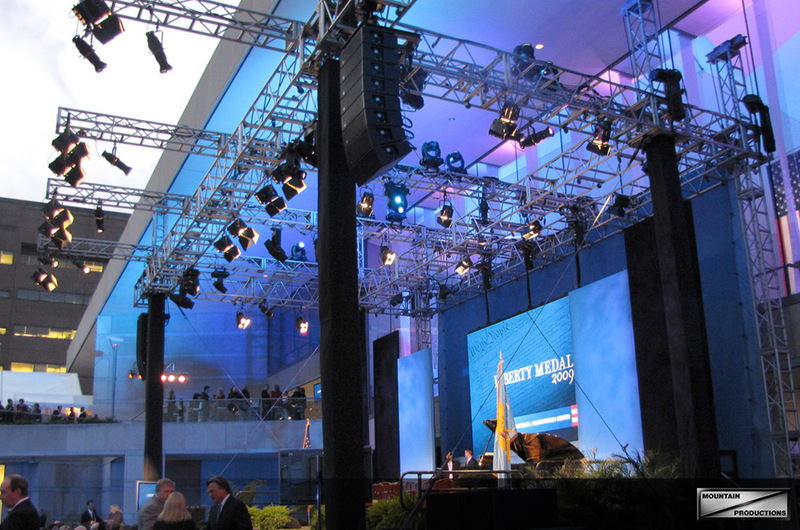 Assembled with lightweight aluminum truss from Tomcat or James Thomas Engineering, Mountain Productions’ Truss Roof Grid is perfect for high profile events looking for a clean, sleek finish. This grid is extremely versatile, and can be customized using different lengths and types of truss. Our main grid options feature either Tomcat spigoted truss or Thomas plated truss. Our motto is “No job is too big or too small”—here’s a mobile stage that caters towards the smaller scale events and festivals: the SL-100. Our staging spotlight this week is all about making the most out of the limited space you have available. 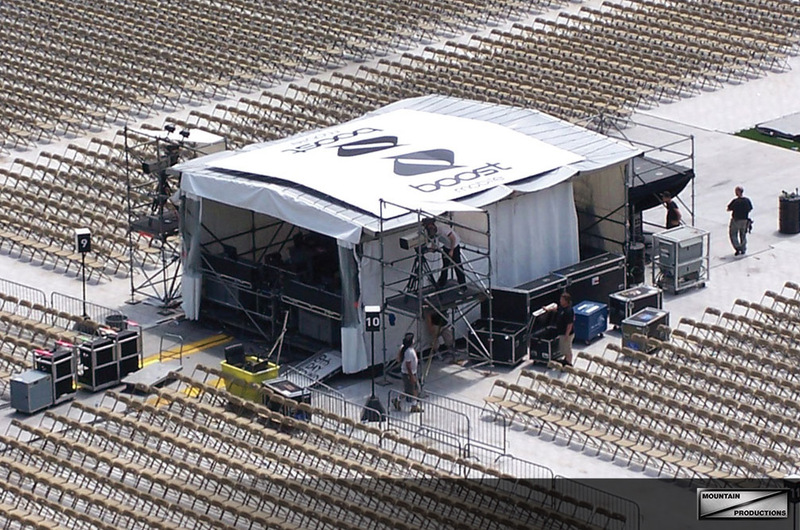 Mobile stages are perfect for time-sensitive events with limited labor, and the SL-100 is the ideal mobile unit when space is added to the equation. 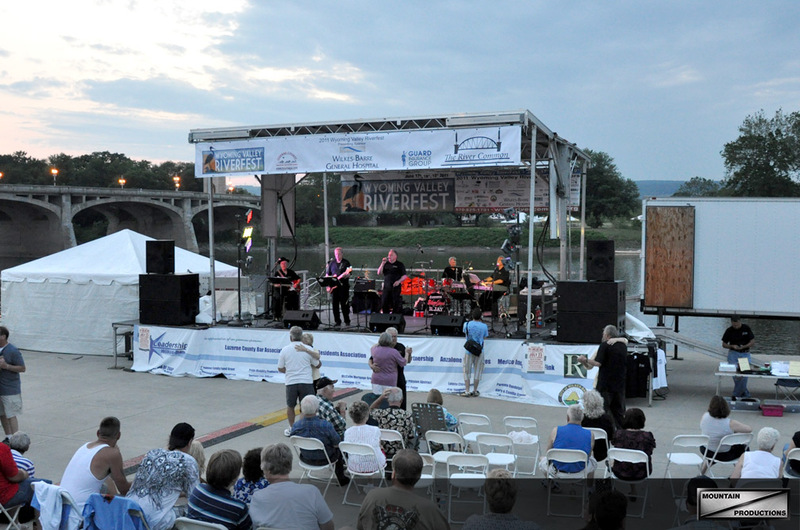 The SL-100 is our smallest mobile stage, with a footprint of 24’ x 20’. 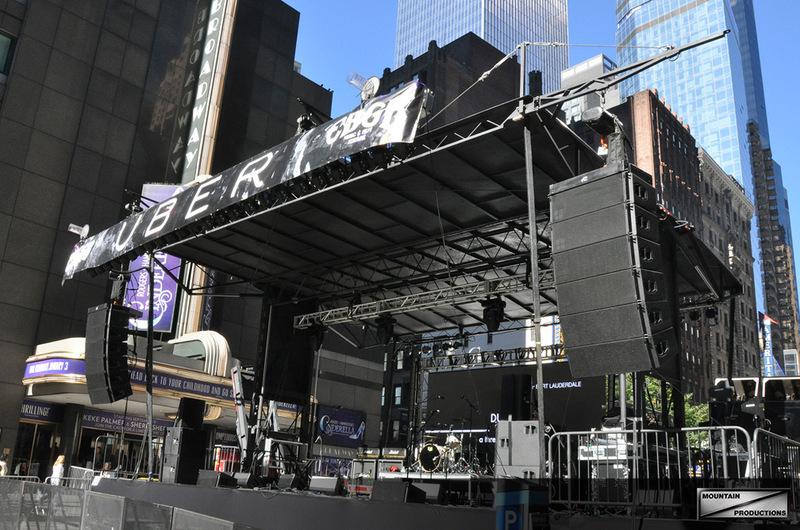 Events taking place on the SL-100 don’t typically require a lot of production gear, so the rigging capacity of 6,500 lbs is capable of handling these events with ease.